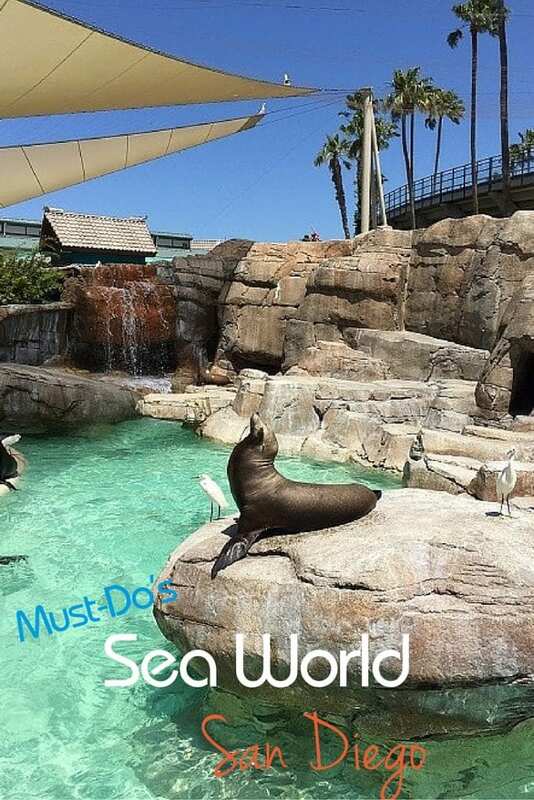 Considering a visit to Sea World San Diego? 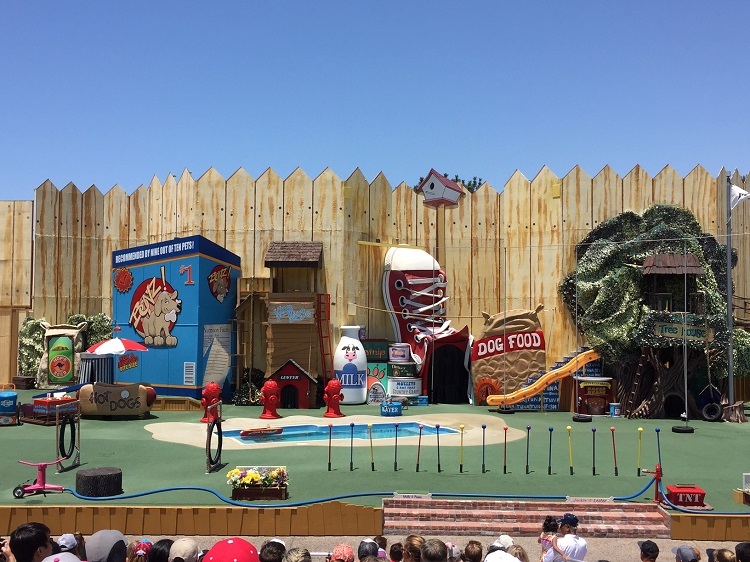 This park offers three exciting and varied types of fun all rolled into one visit, making it a great vacation entertainment value. Here are the must-do’s in each category, and the new exhibit you won’t want to miss. 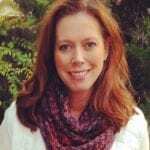 Also when to go, and what to expect for crowds. Whenever we travel to a coastal state, a visit to the ocean is a requirement. Last week while in California, we included an additional treat for my family – a day spent at Sea World San Diego to see marine life up close and personal. What a thrill for my kids to get to pet a shark, and glimpse a majestic orca for the first time. With Sea World being in the news in recent years, and their subsequent adjustment to their orca breeding policy (they’ve announced the killer whales in their care will be the last at SeaWorld), I half expected to find a lightly attended park in a mild state of decline. I’m glad to report this is far from the case. Sea World San Diego is still a beautiful park in excellent condition, and has much to offer. What that means is a full day of excitement, with lots to choose from. Rather than all types being clustered in a single area, the attractions are thoughtfully dispersed so that you can easily experience a nice variety without extra zig-zag walking across the park. For instance, the two water rides so ideal for cooling down on a hot day are strategically located, one on each side of the park. My family loved the combination of being able to see some animals, watch a show, then hop on a ride. It made for a fast-paced, highly enjoyable day. With that being said, here were our favorites in each category. An unexpected choice, given this is a marine animal park, right? I should explain that we really enjoyed every single show we watched at Sea World. And if you attend in 2016, don’t miss “One Ocean” featuring orcas. This is the final year of its running. Pets Rule! put a big silly grin on both of my kids’ faces (ages 5 and 11) for the entire length of the show. Many of the performers have been rescued from an animal shelter. What a fabulous advertisement to consider rescuing a pet from your own local shelter. The lineup of dogs and cats (if you can believe that?) performed fast moving tricks with their handler. Most of the tricks were fairly simple, nothing mind blowing. But I loved that they were things kids could go home and try teaching their own pet to do. The cast explained how good it is for animals to have you engage with them, helping them to get regular exercise. They encouraged the audience to “find your pet’s special talent”. My preschooler son is still stumped as to how that cat jumped into the box, and came out hairless….?? TravelingMom Tip: Much of the audience started to stream out towards the exit once the show appeared to be winding down. Don’t join them. Stay until the real end. The last few minutes were funny, with some beautiful surprises, and definitely worth sticking around for. I should clarify. Atlantis was my fearless 5 year old son’s favorite ride. Personally, it scared me to death. Part roller coaster, part water ride… specifically the part that terrified me was the unexpected surprise factor. I had no idea what was coming. I won’t include a spoiler here, but if you *don’t* like surprises – I highly suggest you ask Dr. Google about this, first! Nothing beats a water ride to cool down on a hot afternoon at a park. We virtually walked right on this ride in the peak heat of the afternoon, with just a 5-10 minute wait. Beluga whales fascinate me. 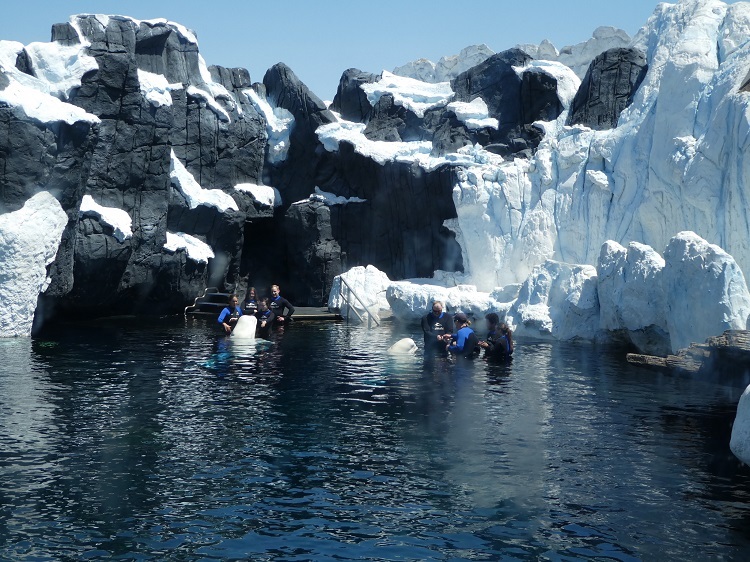 We witnessed a Beluga Interactive Session, where a handful of wet suit clad guests entered waist high water with a Sea World trainer. 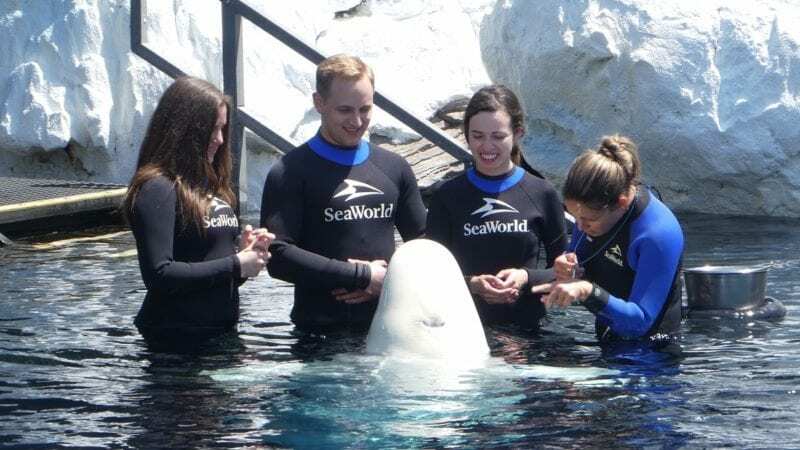 There were two groups of 3-4 guests, each with their own trainer and a beluga whale. 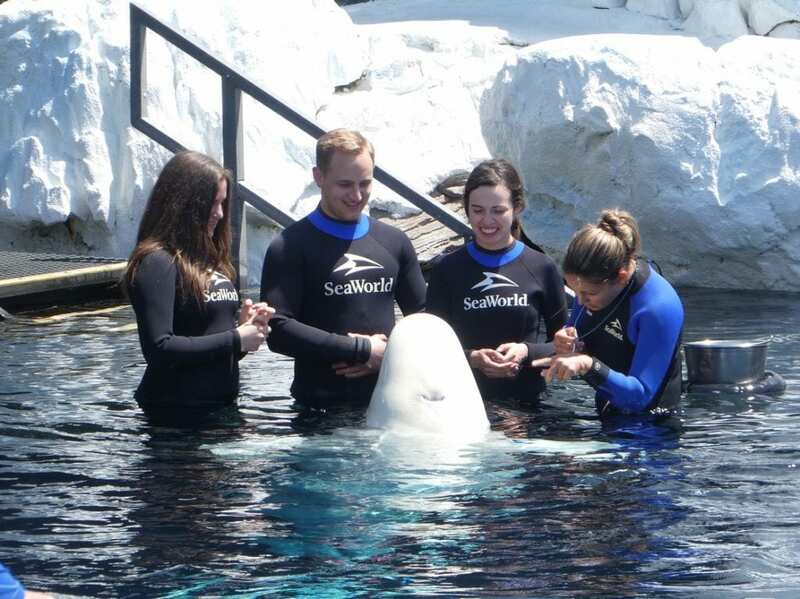 The animal trainer demonstrated whale techniques used, and guests got a chance to touch and feed the belugas. It looked pretty amazing, and my daughter begged me for the opportunity to join a session. 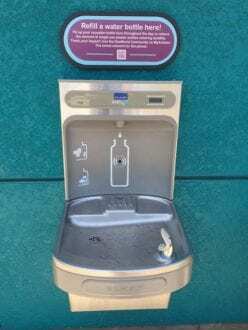 That will have to occur during a future visit for us, but if you are interested check the Sea World website ahead of time. Pre-buying your tickets for this encounter saves you $30 per person, and reserves your time and date slot. Souvenir towel is included in the purchase price. At the time I didn’t realize that Explorer’s Reef was somewhat new, but the moment we entered the park and wandered into this area I was very impressed. Colorful, interactive knee-high exhibits are found just inside the front entrance. Resist the urge to breeze right past this, making a beeline for your first show of the day. Take a few minutes to stop and explore. 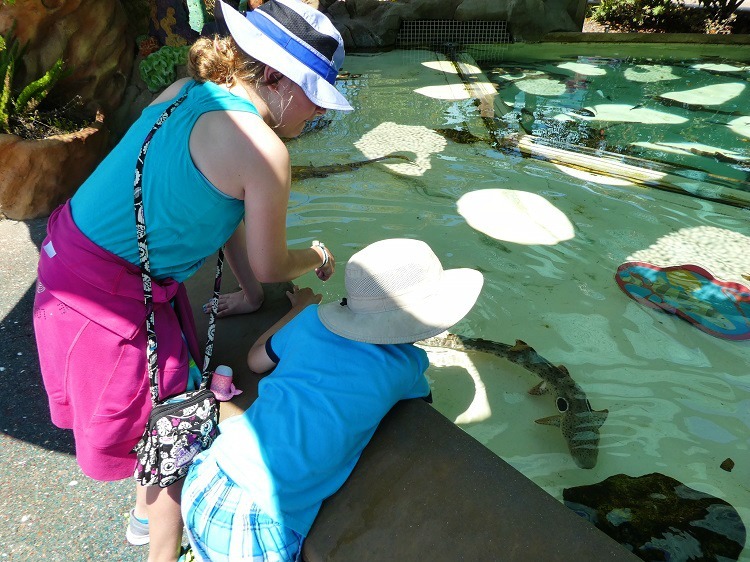 When my kids insisted on stopping, we paused and checked out the bamboo sharks. I’m so glad we did. These pretty, spotted sharks grow up to a maximum of about 2 ½ feet long. Guests are allowed to reach in and pet them, which was as interesting as it was exciting. It turned out to be one of our favorite experiences of the day. We visited on a Monday, the third week of June. California school break had just started the Friday before, but since the hours that day were only 9-6, it was probably too early yet in the summer to be considered their peak season. Weekend park hours are longer, so crowds on Saturday and Sunday are higher. 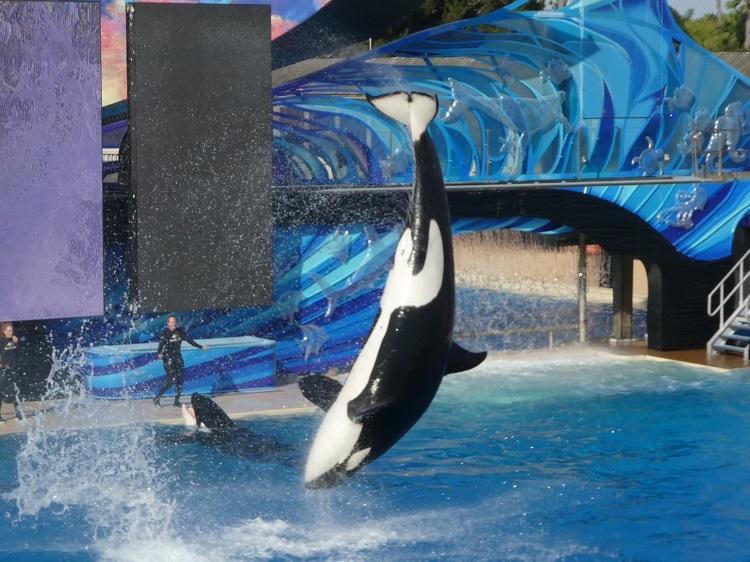 You can still use our June weekday visit as an indicator of the crowd levels to expect at SeaWorld. 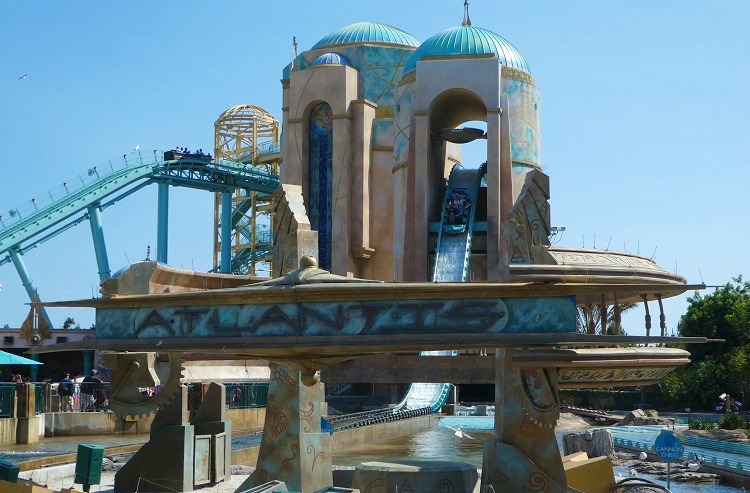 On a 90+ degree day, in the peak of the afternoon heat – the wait time for the highly popular water ride Atlantis was only 5-10 minutes. In other words, you won’t be waiting in long lines for anything. Maybe not so good for Sea World, but good for you. Sea World San Diego instills an appreciation for animals, and makes learning about marine life a fun family experience. 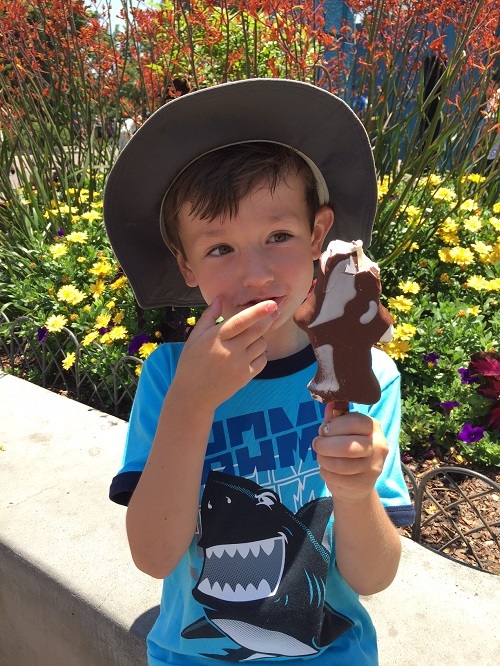 Here are some additional TravelingMom tips for visiting Sea World. I’d definitely recommend adding it to your Southern California vacation list.